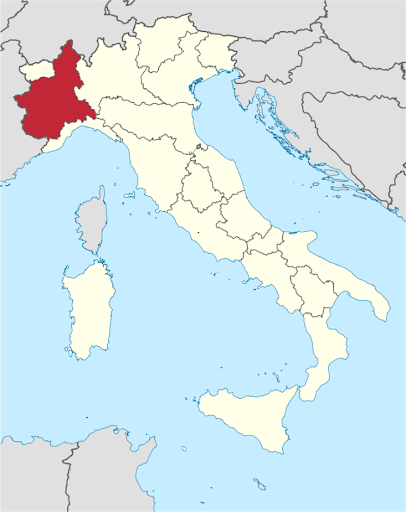 Located between the Alps and the valley of the Po River, the region of Piedmont has a variety of ecosystems. That is why the Piedmont region offers a varied, traditional cuisine characterized by a unique style. In fact, it offers one of the most exquisite dishes on the Italian Peninsula. It contains rich and aromatic ingredients. The region has combined in itself the culinary traditions both of Italian and French traditional cuisine. So that is why the cuisine of Piedmont is so varied, because its culinary roots date back to antiquity. The cuisine of Piedmont includes a rich variety of dishes with cheese. The cheeses that can be found there are very good. In fact, this is the Italian region with the widest variety of cheeses. They have the protected geographical status. Piedmont is also famous for its great variety of wines. 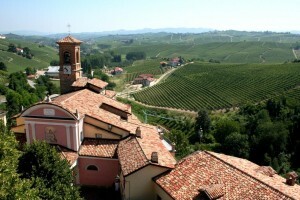 The region of Piedmont is also known for the harvest of nuts, mushrooms, as well as for fishing and hunting activities. Moreover, the local dishes traditionally include truffles, garlic, seasonal vegetables, cheese, rice. The grape variety Nebbiolo grows there and from it are produced the wines Barolo, Barbaresco, as well as wines of the Barbera variety. Various types of champagne and the white wine Moscato d‘Asti with a slightly sweet taste are also produced in the region, as there is also a production of Vermouth and Ratafia. In fact, Piedmont is considered to be one of the best Italian regions that are leaders in the wine production. Of the types of cheese that are produced there, the Castelmagno cheese is one of the most valuable. The cheeses produced in the Piedmont region are made from sheep’s milk. The milk comes from the sheep that gaze on the hills of the Alta Langhe region. The cheese are very similar to the French Camambert cheese. The cheeses of the Bra variety can ne served fresh, matured and they differ in taste compared to other cheeses that are specific for Piedmont. The Piedmont region is also known for the production of high-quality beef meat in Carru, as well as of carpaccio. Some meats are traditionally consumed raw. Brassato is one delicious dish that is a stew with wine and beef with raspberry. This region is popular also for the tradition of eating raw meat flavored with garlic butter, lemon and salt, as well as with cooked beef meat served with various sauces. A popular food in the region is the beef sausage, also the carne cruda, carne battuta, covered with olive oil from Liguria. In the cuisine of Liguria, the dishes are usually prepared with some of the local wines to taste. For example, if you cook a rabbit you can use the Arneis wine, Nebbiolo wine, Barolo or Barbera wine for beef and veal meat. An example of first and second dish in the typical menu of Piedmont are the truffles. Typically, pasta is served as a first dish. A fresh tajarin (a type of tagliatelle), agnolotti and ravioli al plin are the typical types of pasta for the Piedmont region. They can be served without additives or they can be served with butter, sage or with a variety of meat sauces and covered with fresh local cheeses. This is one of the typical traditional foods of Piedmont. It is a type of pasta that is small in size, with a filling inside. It is made from small and thin layers of dough, which are stuck together and then they are filled with roasted beef meat and various vegetables. This pasta is served as a first dish. The creation of Agnolotti is associated with an interesting legend. According to it, the name of the dish was given by a chef named Angiolino or Angelot. He was from Monferrato and is considered that he has invented the original recipe for the dish. Agnolotti can be di magro or di grasso depending on whether they contain a meat filling or a vegetable filling. 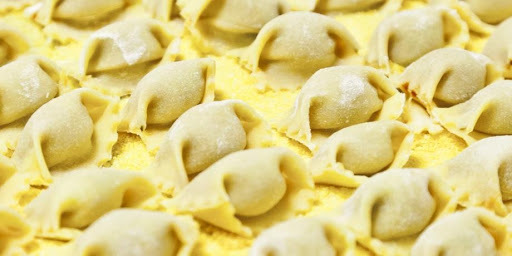 In their initial form they had a semi-round shape, as the modern traditional agnolotti are with square shape and they have a lenght from 2 to 5 centimeters on their sides. However, they can be smaller and with rectangular shape, as then they are called agnolotti al plin. Plin means “pinching”, because in the process of their preparation, their sides are pinched with the thumb and the forefinger upon placing of the filling inside them, thus something like pockets is made. Agnolotti al plin are always with a meat filling. Agnolotti is prepared by placing them into boiling water. Traditionally they are seasoned with a simple dessing of beef broth, melted butter or with a sauce of fresh sage and melted butter. Sauces with simple ingredients are used, because the sauces with more intense taste will diminish the taste of the filling that is in the pockets of agnolotti. Most agnolotti are seasoned with grated Parmigiano-Reggiano cheese, but the filling doesn‘t contain cheese. The dish is associated only with the region of Piedmont, so it shouldn’t be confused with the filled pasta named Anolini coming from the city of Piacenza. The Italian town of Monferrato is located in the region of Piedmont, as there is prepared a special version of agnolotti with a filling of donkey meat. There are similar recipes for agnolotti without meat. They include a filling of Ricotta cheese and spinach and they are rather similar to ravioli than to agnolotti. Every region of Italy has its own type of pasta. 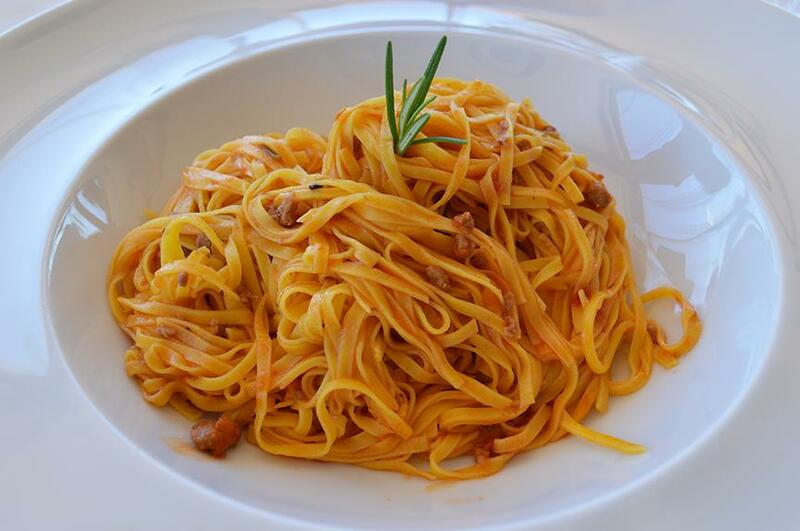 Tajarin is a pasta, which is specific for the Piedmont region, as it is similar to tagliatelle. Its shape is thin and long with a characteristic yellow color, due to the rich in nutrients eggs of the farm hens, as these eggs are used for the preparation of tajarin. In fact, the original recipe requires 30 egg yolks and a kilogram of flour to be used. Typically it is served with ragu based on tomatoes or meat, or with a butter and sage sauce, which is a classic combination for Piedmont. During the late autumn and in the beginning of the winter, the dish tajarin with butter and sage goes perfectly with grated Alba truffle on it. It is served as a second dish in the standard menu of Piedmont. It is a beef meat that is left for one night in a marinade, prepared from Nebbiolo wine, which is different types: Nebbiolo di Alba, Barolo or Barbaresco. After that it is lightly fried with herbs and vegetables, and finally consumed with Barolo or Barbaresco wine. A typical dish for Vercelli. It is a type of risotto. This traditional dish is a culinary attraction with historic roots. In the past, it was a food for the common people. This dish is prepared from anchovies, olive oil, garlic and fresh raw vegetables, chard, endive, butter, lilac grass, celery, small green onions, Jerusalem artichoke, red and yellow peppers. In translation the name of the dish means a „hot bath“. The ingredients that are used for it are not specific for the region, so they are imported from neighboring Liguria. This shows the long-standing commercial relations between these two regions. In the modern restaurants, the bagna cauda is mostly associated with a dish of raw or baked vegetables, poured with a hot sauce. 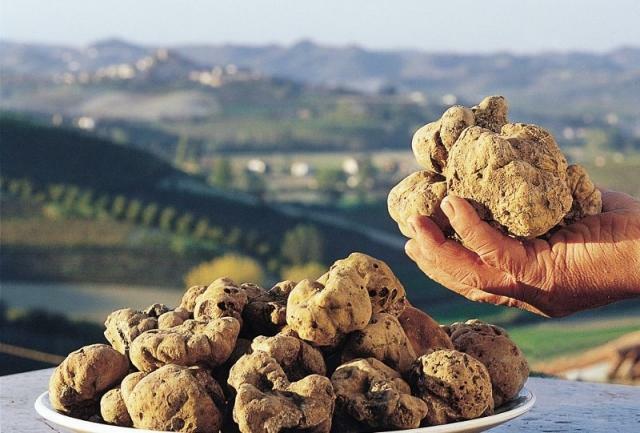 Piedmont is known as a center for production of white truffles and a center of the annual white truffle market. In Alba, the popular magnatum pico, which is a variety tubers of truffles, is sold for large sums of money. Depending on how often a certain type of truffle can be found, the truffle weight value may be equal to that of gold. Entrepreneurs and scientists are still unable to cultivate these valuable mushrooms, so the truffle seekers are still searching the forests of Langhe, Roero and Monferrato together with their faithful dogs in order to find these culinary temptations. Local people believe that the perfect dish is tajarin with grated white truffle. In the traditional Italian cuisine of Piedmont the meats are usually eaten raw. An example of that custom is the delicious veal sausage of Bra and carne cruda or carne battuta covered with olive oil from Liguria. The preparation of the meat usually include the use of different wines. For example, for rabbit meat are used the Arneis or Nebbiolo wines, as the Barolo or Barbera wines are used for veal or beef meat. A little-known vegetable in the cuisine of Piedmont is cardo gobbo di Nizza, which is cultivated in Nizza Monferrato. This type is similar to „gobbo“- a type of white albino celery. This vegetable is distinguished by a nutty taste, very similar to the taste of artichoke. This is not a surprising fact, because the artichoke by type actually originates from cardo gobbo. The French pastry tradition has also reached the cuisine of Piedmont thanks to the Savoy house. The desserts are an integral part of Piedmont‘s local cuisine. The desserts with Roero raspberry are very popular there, as well as those with natural hazelnut such as Nutella. The original Nutella is produced in Piedmont. 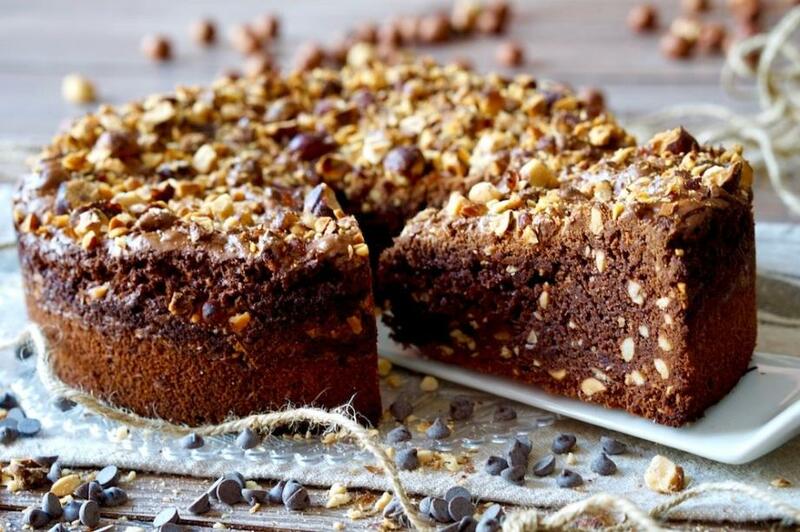 Torta di Nocciola is a typical cake for Piedmont. This is a popular hot drink for the city of Turin. It is made with espresso, cocoa and full-cream milk. Instead of milk it can be prepared with rich cream. It is served in a small round cup.